Excel Consulting Group, LLC is a management consulting firm with a mission to unleash enterprise value through enhanced performance and productivity. We work closely with the client to effect business process improvements closely aligned with business goals. Our engagements normally involve a close collaboration with the client, using internal personnel. We provide coaching, facilitation, and training as necessary to achieve the desired business outcome. Engagements typically range from one to six months. Execute the plan. Although this is where the payoff is, putting the plan into action is where many improvement initiatives stall or fail outright. 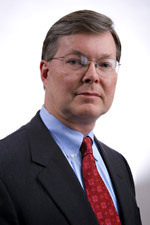 John Bell is principal and President of Excel Consulting Group, LLC. Mr. Bell is a former senior operations executive with a thirty year track record of process, yield, capacity, cost, and cycle time improvement in environments ranging from start-up to turn-around. His management experiences include operations, quality, manufacturing engineering and development engineering. Mr. Bell has held executive positions at Spectra-Physics Semiconductor Lasers, a division of Newport Corporation, Cielo Communications, a telecom start-up company, and GaAsTek, a division of ITT. He has led improvement initiatives that delivered a 50% reduction in scrap, greater than 2x improvement in first pass yield, 50-75% reductions in cycle time and lead time, and dramatic improvements in capacity and on-time delivery. Mr. Bell is a member of IEEE, the Association for Operations Management (APICS), and the Council for Entrepreneurial Development in North Carolina. He has a BSEE from the University of South Carolina. I would recommend without hesitation the Excel Consulting Group to any company that wants to better understand their business model, and systematically map out a path to drive value.